Alexander Maksik is the recipient of a Truman Capote Fellowship and a Teaching/Writing fellowship from the Iowa Writers' Workshop. He's presently the Provost's Postgraduate Writing Fellow at the University of Iowa. 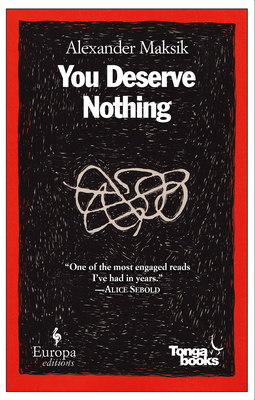 You Deserve Nothing is his first novel. He lives in Paris and Iowa City.